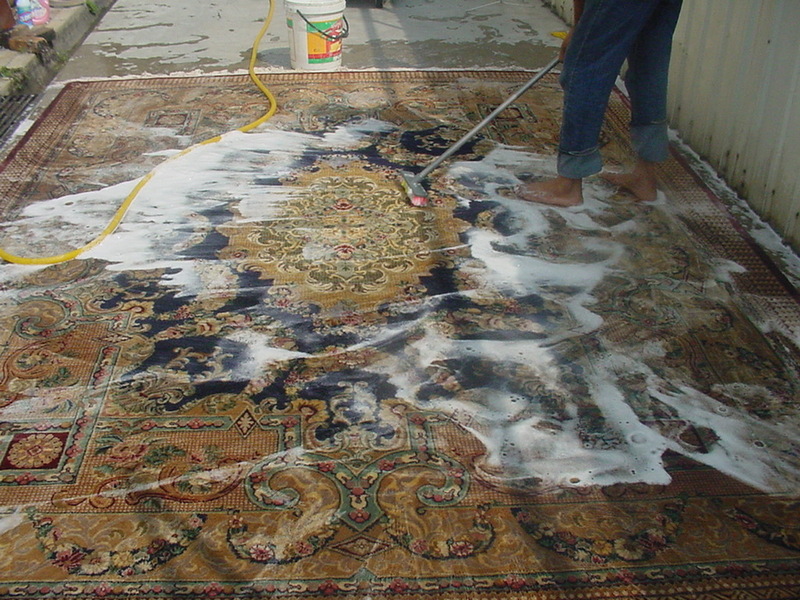 At Nasim Carpets,we are one of Malaysia’s largest and most experienced Handmade carpet cleaning company.We are one of the largest providers of Hand Washing and overnight soaking process as well as major stain removal of carpets including Silk and wool carpets.Our expert staff and our impeccable reputation offers clients peace of mind,assuring them of the highest quality in cleaning,hand washing and stain removal to revive their carpet’s appearance.We offer Free Pick up and delivery services seven days a week anywhere in Kuala Lumpur & Penang areas. When a rug is need of restoration,it should only be trusted to a professional.Restoration seeks to return and revive the rug to its original condition. The weakest areas of a rug are its side and ends and these should be inspected yearly to detect any deterioration.Loose fringes will eat into the pile and devalue your treasured piece quickly.There are many reasons that any rug will sustain damage. We are experienced in repairs to rugs that have lost their shape.Proper restoration renders the repairs invisible to the naked eye,with over 20 years experience in restoring Handmade carpets,we can restore any rug to its former glory.With our skilled expertise,color,age and textures are matched in accordance with the carpet for the best results adding many more years of pleasure having your carpet on the floor.Please contact us with your repair requirements,we will be happy to access the damage with a free quote. Being the Nation’s most reputable carpet dealers,we offer free consultations for our clients purchasing from private sales,auctions or other sources. We assist clients with determining the provenance,and any restoration work that need to be done. As experts in the field,we can determine whether the carpet is being offered at fair market value. We provide our clients complimentary home trial of any carpet they like at any of our branch. The advantage of this personal service is to prevent any costly mistake. We also supply the finest quality of Anti slip pads for area rugs.